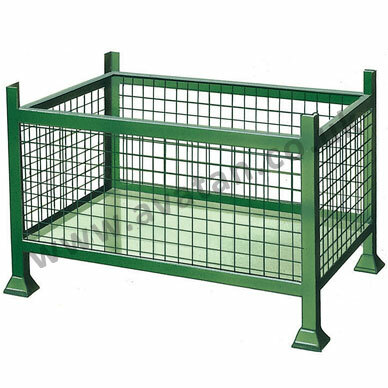 BP Rigid mesh sided cage pallet with sheet steel base and mesh sides. 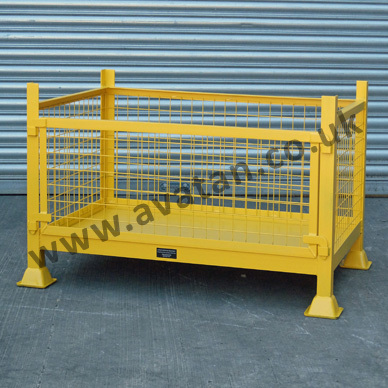 We manufacture stillages to order in standard and special sizes manufactured to suit individual customer needs. 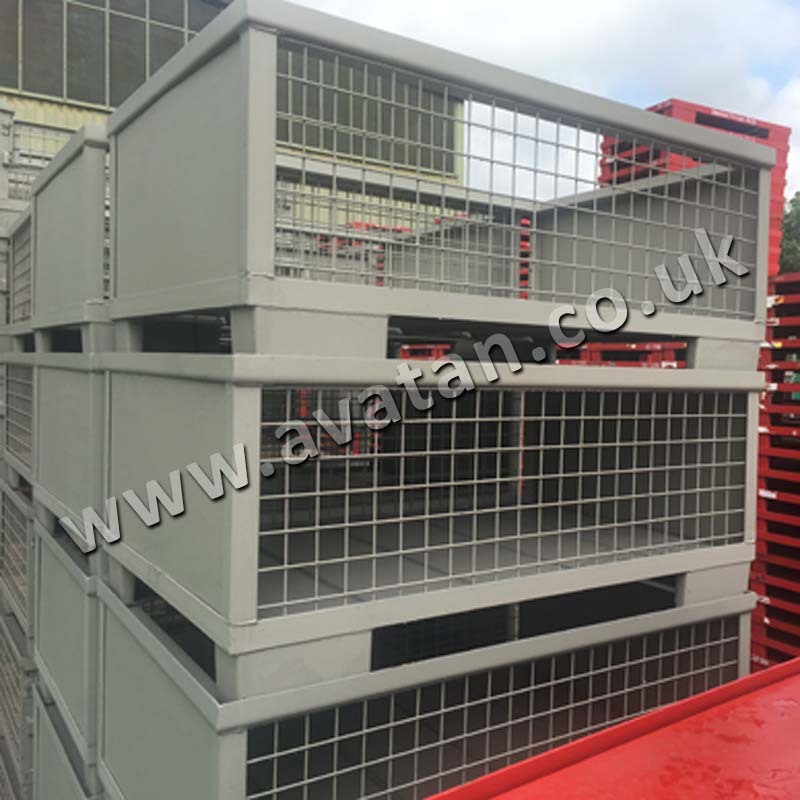 Rigid cage pallets fabricated from mild steel angle or box section. 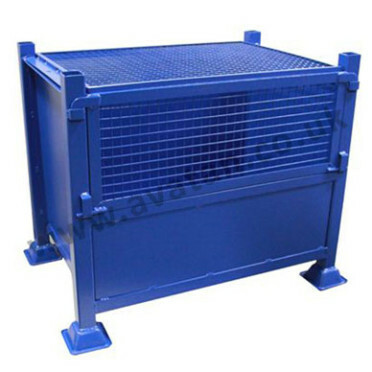 Standard construction suitable for 500kg or 1000kg uniformly distributed load stackable four units high. 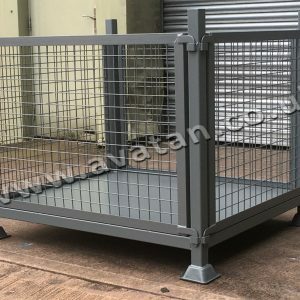 Finished in air dry paint but can be hot dip galvanised. Specials are our standards…. 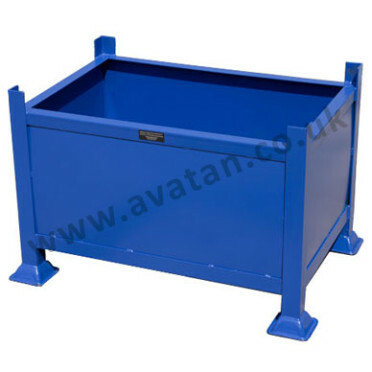 Let us make a product to best suit YOUR needs. Please ask for details.